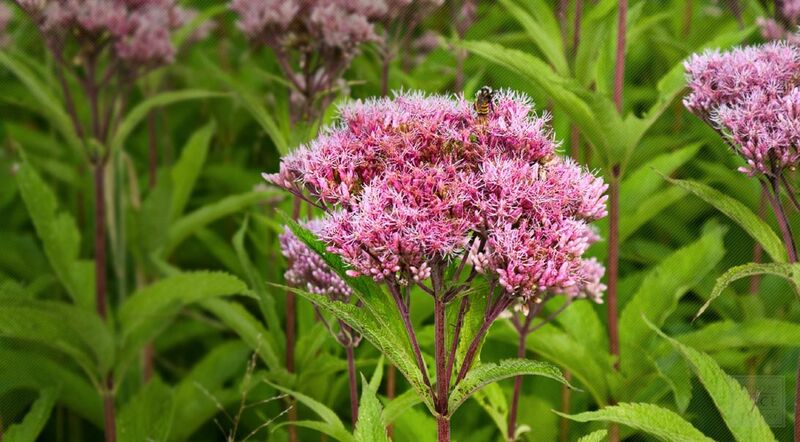 Queen of the meadow, more commonly known as kidney root, gravel root or Joe Pye weed, is a member of the aster family that is native to northeastern North America. While it naturally occurs in moist woodland settings, the plant is sometimes grown as an ornamental plant in cottage gardens because its attractive, sweetly-scented blossoms attract butterflies and are deer-resistant. 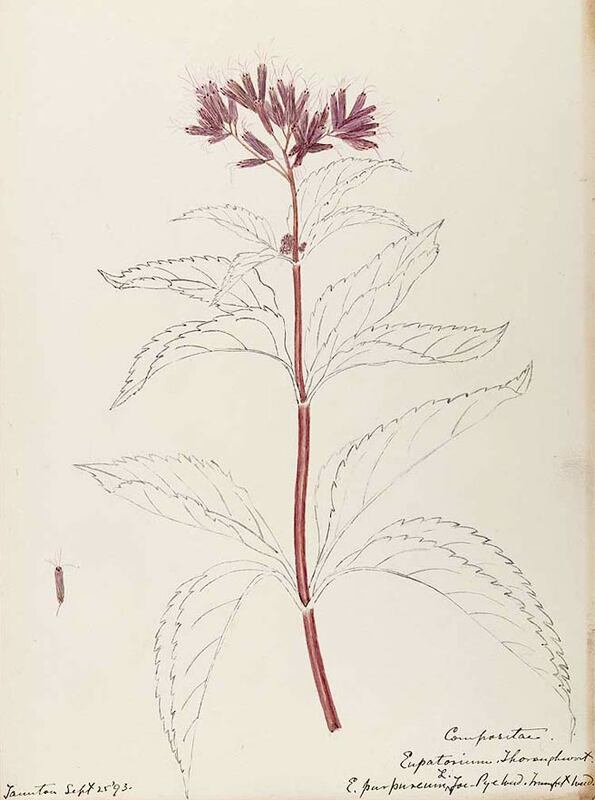 The herb is traditionally prepared as tea or tinctured, but should not be used during pregnancy. Infusions may be used topically, but not on broken skin. See also Gravel Root.